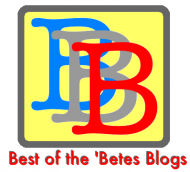 Diabetes Ramblings: Mosquitoes love diabetics! As I sit here, more and more mosquito bites are making their presence known. My parents are visiting for a few days. They are full-time RVers (yes, they live in an RV full-time, no "real" house), so when they visit they stay at a local campground. Hubby has been running a fever and the two teenagers don't care for bugs, so this afternoon I took the youngest three out there for lunch and some fun with the grandparents. We had a nice lunch then the girls wanted to go to the playground. After a while they got on their swimsuits and we headed over to the pond. (Ok, the campground has "Lakes" in the name, but honestly they're ponds. Don't tell them I said that though.) I sat in a lawn chair and watched my three youngest swim for over an hour. I knew there were bugs around, but I only noticed the flies. A stomp of the foot and they'd leave (for a bit). I never noticed the mosquitoes. Now I'm itchy. I haven't started counting yet, but I know I have quite a few. One camping trip our family went on two years ago left me eaten alive with barely a bit on anyone else. I think all the skeeters say, "Hey, this one has the sweet blood!" and they attack! Any other diabetics have this issue where the bugs get you and leave everyone else alone?